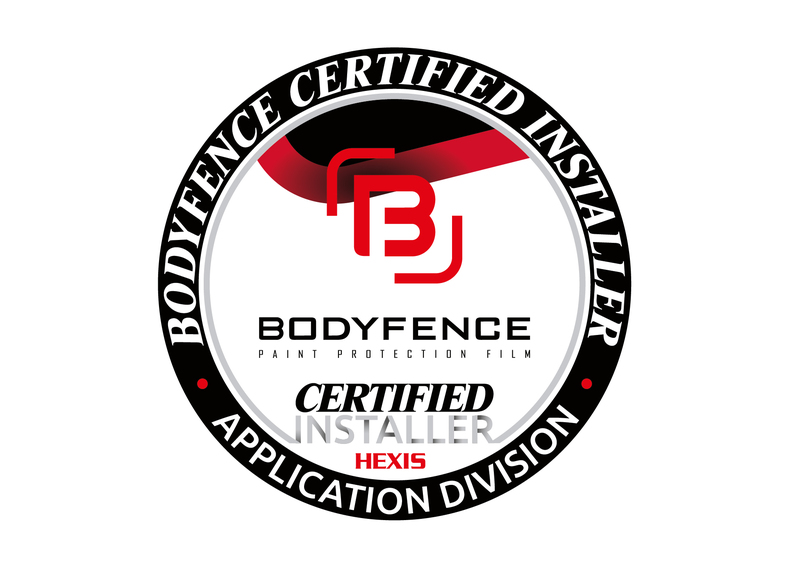 You’ll find all the steps for the BODYFENCE certification. Just follow them and submit your application. Providing support to the distributor’s and installer’s customers towards building expertise on both self-adhesive films offer and their various applications. First, you will have to fill in the form to access the certification on our website. Upon registration of your application, you will receive an access code by email to take a written test. To increase your chances of success, take the time to watch all the videos available on our website. Our Hex’Perts’ team will assess the test results and come back to you within 15 days. If you pass the written test, you will get the dates of the next sessions to take the practical test. During this certification day our Hex’Perts will not only test your skills on different types of applications, but will also consider the way you work. As being part of the certified installers’ network requires a lot of skills, we want to make sure that the work performed meets the HEXIS quality standards.